Bottle gourd soup is a quick, healthy and yet a delicious soup recipe made with very minimal ingredients. 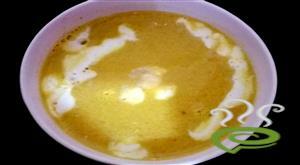 This is a creamy delicious soup made from bottle gourd . This is extremely simple to make. There are many health benefits in this soup, especially in weight loss. Bottle gourd also helps in easy digestion. 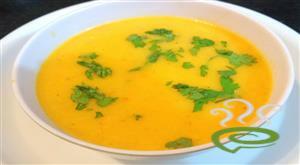 Creamy and delicious, this Indian Spiced Yam Soup is packed with lots of flavor and nutrients. This is so simple to make within minutes of time. Boil yam in water till soft and mash it. To this add cumin, pepper, ginger , green chili , salt and allow it to boil. finally we add diluted corn starch to thicken the soup and serve. Mudakathan Keerai, also termed Balloon vine is a popular climber in Tamil Nadu. Rich in medicinal properties, Mudakathan Keerai is cooked in various ways; the most popular dish is Mudakathan Keerai Soup. The dish is unique and special with Mudakathan Keerai leaves boiled with a spicy mixture and savored as soup. Mudakathan Keerai leaves are very nutritious, rich in anti-inflammatory properties. 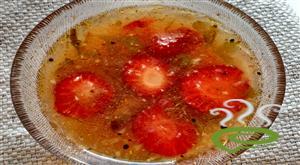 You can discover a well detailed Mudakathan Keerai Soup here that can be easily prepared at home. 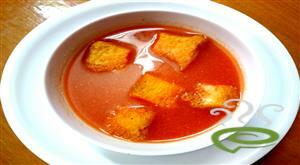 Tomato soup is a soup made with tomatoes as the primary ingredient. It may be served hot or cold in a bowl, and may be made in a variety of ways.This is one of the top most soup ordered in restaurants fro kids to adults. This is very easy and simple soup which completes our meal and we can add to our diet menu regularly. This is added mushroom and carrot s. so we get vitamins and antioxidant. For more taste we added onion and tomato. So its increase quantity and color too. This is best for dinner time. this is a healthy soup ,rich in iron and protein and that can be relished by people of all age groups.this is a simple recepi which can be prepared within mins and it holds a flavourful taste. This isa very different recipe.Mint rasam is in unique aroma. In this rasam we use only few ingredients to prepare.